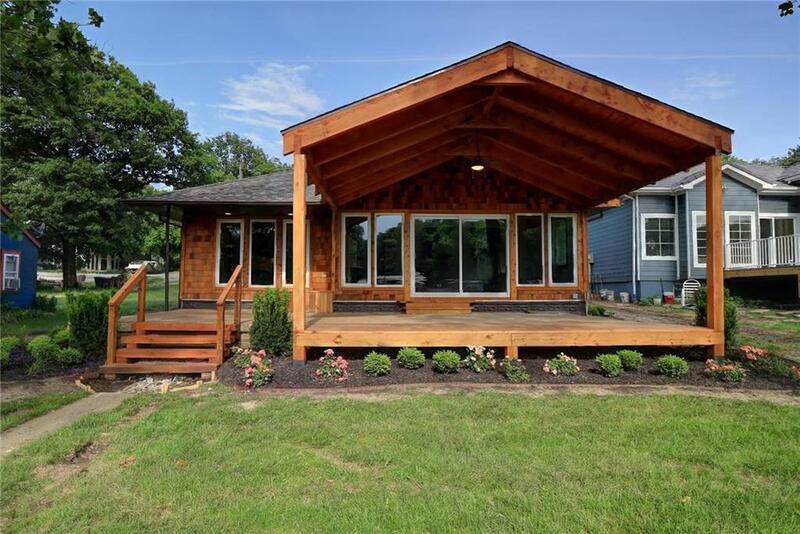 Completely renovated lake home designed for entertaining. Open living area highlighted by vaulted ceilings & wood beams. Gourmet Kitchen with Quartzite Countertops, Induction Cooktop & High-Tech Convection Oven. Master Bedroom Suite has large walk-in closet. Oversized garage w/epoxy floor provides space for 3 cars plus storage/work area. Driveway adds parking for multiple vehicles. New roof & landscaping enhance the exterior. Covered patio steps out to level yard that leads to Dbl Well Dock & Covered Shore Station.